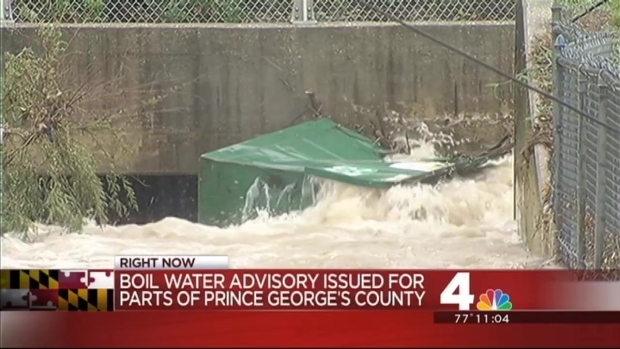 A Boil Water Advisory has been issued for customers in a section of southern Prince George's County. Residents in Accokeek and Brandywine and portions of Fort Washington and Piscataway have experienced low water pressure since Tuesday night. Those living in areas east of Indian Head Highway, west of Piscataway Road and south of Palmer Road to the Charles County line are advised to boil their water. WSSC is conducting a series of tests. If all tests show no indication of contamination, WSSC expects to lift the advisory early Friday. According to WSSC officials, a water main broke Tuesday night, but heavy rain and darkness overnight kept crews from locating the broken pipe. They have narrowed the location of the break to a section of pipe in Piscataway Creek and they will repair the break after the creek recedes. Some customers who were without water Tuesday night are not included in the boil water advisory. Only those in the affected areas who experienced a significant loss in water pressure should adhere to the advisory. A loss in water pressure increases the risk of contamination. Residents can enter their address in this interactive map to determine whether the Boil Water Advisory affects them.